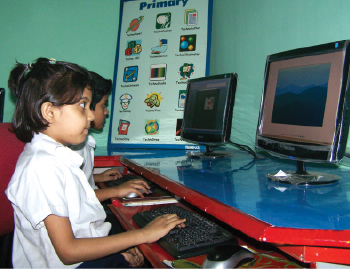 My e-Kids, a very prominent name in kids’ comprehensive computer education, develops and distributes exemplary computer technology programs (MS Office, Multimedia, Graphics, OS, Telecommunication, Programming, Database, Applied Technology) through different projects to prepare the children of pre-school to class VIII by visual, auditory and tactile learning styles. The mission of My e-Kids is to develop the future ambassador of the society through technology and education, emphasizing on building moral values, instilling confidence to prepare them for the digitized world. 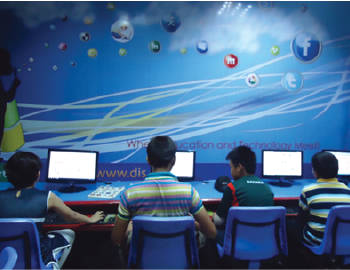 Kids do get their hands on computers at the early age at home with their parents or siblings, at their friend’s house or at school. At My e-Kids we teach them to do it right way. Having fun with technology and computers from an early age encourages children to be e-confident and e-competent-a great head start in life! We are the master franchiser in kids education in Bangladesh, started our activities as Daffodil Technokids in the year 2004 in affiliation with Technokids Canada and in the year 2009, we have initiated and revised our institute as My e-Kids, Bangladesh that is registered in UK and operates its services in UK and Malaysia.